Netbooks have had their day and now the end is nigh as Dell admits it is no longer making the diminutive computers. Eagle-eyed netbook watchers recently spotted that the company is no longer selling its Inspiron Mini netbooks online, and a Dell spokesperson has since confirmed that the company is dropping out of the netbook race. "Thin and powerful is where it is at for us," Dell's marketing director Alison Gardner told The Verge. 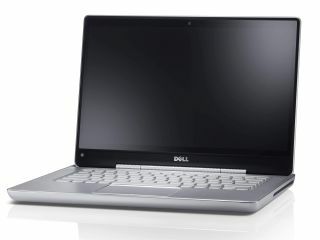 Thin and powerful – sounds like Ultrabooks to us, although good on Dell for avoiding Intel's branding there. Dell's more about the XPS 14z and its ilk these days, and we're hoping to see more of the same from the company launching at CES 2012. Let's hope the company can slim the range down just a little bit more though; it's not quite at MacBook Air levels of slenderness just yet. Dell may be the first company to run from the netbook market like a rat from a sinking ship but others won't be far behind; Intel, Samsung and Acer have all been considering the same course of action.